Would this support or undermine the book? Would it be pro-science or anti-science? The statement is positivist. It praises the book's theory for its ability to predict observations. This is the core of science. It is the famous Osiander forward to De revolutionibus orbium coelestium, by Copernicus. Many people have criticized this forward as being anti-science. An encyclopedia said that it "clearly contradicted the body of the work." Arthur Koestler called it a "scandal". the astronomer will take as his first choice that hypothesis which is the easiest to grasp. The philosopher will perhaps rather seek the semblance of the truth. But neither of them will understand or state anything certain, unless it has been divinely revealed to him. This suggests that Truth is in the domain of philosophers and Bible-readers, not scientists. But Osiander is correct. Copermnicus had no reason to be certain of his hypothesis. He had an argument that his model fit the data, and that it was easier to grasp. The model was later replaced by Kepler's and by general relativity, so it was not certain or True. Rheticus has published in support of heliocentrism before Copernicus, and thereby encouraged Copernicus that his book would get a favorable reception. I think that Osiander's attitude is more scientific than today's academics, who all say that positivism is dead. They make fun of Bible readers, but they have their own ideas about believing in Truths that are independent of observation. Stephen Hawking used to call himself a positivist, but his latest book advocates model-dependent realism. It says that "a well-constructed model creates a reality of its own." He ends up arguing for M-theory, which is the dominant paradigm among theoretical physicists but has no connection with observations. Most people (in ancient and modern times) assume that either Sun goes around the Earth or the Earth goes around the Sun. But it was a gigantic unwarranted assumption to say that one of these is true and one is false. There was no evidence for such a belief. I say that the better scientific attitude is to identify that as an assumption and to admit that it may be false. So Osiander had the better philosophy than Copernicus. I argue for positivism in my FQXi essay, but admit that is a minority view. But even if I cannot convince you of positivism, I ought to be about to convince you that the sort of positivism shown by Osiander is a completely legitimate scientific view. 2 Quest For Mathematical Understanding ... On the other hand, one does not yet have a mathematical understanding of the quantum behavior of four-dimensional gauge theory, or even a precise definition of quantum gauge theory in four dimensions. Will this change in the twenty-first century? We hope so! Okay, they hope so. But we may never have a purely mathematical understanding of quantum reality. Instead we are built to operate with limited time, processing power, and available information. To imagine a truly rational human being, one unbounded by these constraints, is to imagine nothing short of a Laplacean demon. For those unfamiliar with the term, it references the hypothetical super-intelligence proposed by French mathematician Pierre-Simon Laplace, capable of knowing the state of every atom in the universe, and associated with the first published description of scientific determinism. He refers to Laplace’s demon, a fanciful idea that is surprisingly widely believed. Lorince is just attacking the idea that humans can be all-knowing, but I attack the idea that such knowledge can even exist in a mathematically defined form. Physicists might argue that if you only knew the quantum state function of the universe at some time in the past, then you could apply some unitary operator to get the state at future times. To believe anything else is contrary to a scientific worldview, they say. Occasionally this sort of thinking will drive them to deny free will or to accept multiple universes. I say that Laplace's Demon is absurd. It is a huge unwarranted assumption. Nobody has ever explained how it would work. It seems contrary to what we know about quantum mechanics. My FQXi essay explains why I think it is wrong. Someone predicts that next month's physics Nobel prize will go for quantum teleportation. Lumo is skeptical. The obvious choice is Higgs, but Anderson says he had that idea first. Quantum key distribution (QKD) uses quantum mechanics to guarantee secure communication. It enables two parties to produce a shared random secret key known only to them, which can then be used to encrypt and decrypt messages. It is often incorrectly called quantum cryptography, as it is the most well known example of the group of quantum cryptographic tasks. An important and unique property of quantum distribution is the ability of the two communicating users to detect the presence of any third party trying to gain knowledge of the key. This results from a fundamental aspect of quantum mechanics: the process of measuring a quantum system in general disturbs the system. A third party trying to eavesdrop on the key must in some way measure it, thus introducing detectable anomalies. By using quantum superpositions or quantum entanglement and transmitting information in quantum states, a communication system can be implemented which detects eavesdropping. If the level of eavesdropping is below a certain threshold, a key can be produced that is guaranteed to be secure (i.e. the eavesdropper has no information about), otherwise no secure key is possible and communication is aborted. Transmitting a message securely means that the recipient gets a message that could have only come from the sender, and no eavesdropper can read or interfere with the message. Conventional cryptography solves this problem. The QKD method has no way to autheniticate the sender, and can never be secure. At best it has a statistical method for probably detecting eavesdroppers. A physics blog explains quantum teleportation. That allows someone to send a quantum bit (qubit) to another. If individual photons had mathematical representations, then they could be teleported by just transmitting those numbers and reconstructing the photon state at the other end. Without such representations, the so-called teleportation is a little trickier, but not big deal. I think someone else will get the Nobel prize. I argue below that A photon is not a math object. I elaborate with a simple analogy. Say I have a piece of paper with a 0 and 1 on it. I tear it in half, and mail the pieces to London and Australia, so one gets a 0 and one gets a 1. How many bits of info are in the London envelope? One, of course, as it has a 0 or a 1. How many in the Australiz envelope? Also one, but now it gets tricky because we don't have two bits of info overall. So there is just one bit of info overall, but it does not make much mathematical sense to say that each envelope has half a bit of info. What is half a bit? It seems like a whole bit to the guy in London. The spin of an entangled electron pair is similar. You can separate the electrons and find that each has a spin that is easily understandable by itself. But somehow the pair has a collective spin that is not so easily divided into two spins. 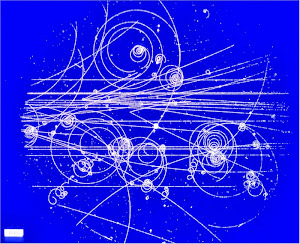 Likewise, the physics of entangled electrons is not tricky or mysterious. It only gets tricky when you try to match up the physics with mathematical quantifications of spin. I say that the best explanation is that the electron does not have an adequate mathematical quantification. Just like the London envelope. This would all be fairly trivial except for physicists who insist on saying all sorts of crazy things about the entangled electron. They say that the electron has a spooky effect on distant electrons, or that there is no reality. And they say those crazy things because they assume that the electron has a state that is completely characterized by mathematical quantifications. AN AEROPLANE has beamed quantum encryption keys to a station on the ground, paving the way for an ultra-secure global communications network. Back on the ground, researchers at the European Space Agency's Optical Ground Station in Spain's Canary Islands broke the distance record for quantum teleportation, which uses quantum entanglement to make message transmission more secure (Nature, doi.org/jbs). They teleported quantum states over 143 km, breaking a record of 97 km reported earlier this year. I have criticized Quantum cryptography on this blog many times, such as in Aug 2011, Jun 2011, May 2011, Apr 2011, Sep 2010, May 2010, Jan 2010, and Oct 2008. It is the biggest scam in modern physics. There are three big problems with quantum cryptography: (1) it assumes equipment idealizations that can never be met in practice; (2) the laws of quantum mechanics do not ensure any security; and (3) even if the theory and practice could do everything promised, the method has no practical utility. I posted below on the limits of math, and now I want to give a physical example. Consider a simple photon. It would seem to be completely describable by its direction (velocity), frequency (energy, wavelength, color), and spin (polarization). The photon can then be considered synonymous with a few numbers. This is not really possible because of the uncertainty principle, but physicists like to pretend that there is an underlying mathematical reality. Now suppose you have two entangled photons that are emitted in some process that assures that they are equal and opposite. So their.y frequencies are the same and their velocities and spins are opposite. Measuring one tells you that you will get the same outcome if you later do the opposite measurement on the other. The trouble is that even if the photons are miles apart, there is no way to give separate mathematical descriptions of them. These entangled photon experiments are sometimes cited as proof of nonlocality. But there is no physical nonlocality. There is nothing that you can do to one photon that will have any physical effect on the other photon. The apparent nonlocality is just an artifact of the mathematical models. The problem is that when a quantum of energy splits into two opposing photons, the mathematical description of that quantum does not split into separate mathematical descriptions of those photons. The photons are physically separate, but not mathematically separate. My conclusion from this is that the mathematical description of the photon is inadequate. Others conclude that there no such thing as causality, or that there is no reality, or that physics is spooky. These latter conclusions seem crazy to me. The current RadioLab podcast explains how locality is essential to our everyday experiences. Life is like being at the end of a slinky, in the words of the show. Any locality violation would be huge news. Usually when mathematical models fail, the solution is to look for more accurate models. But the failure to describe a photon is not an accuracy problem. The uncertainty principle says that you cannot measure the position and momentum of a particle at the same time. A particle cannot be defined by its position and momentum. Your first reaction to this principle was probably that it was just a statement of our lack of cleverness in making measurements. But it is not. The principle is a statement that physical reality does not match our mathematical descriptions. Likewise, entanglement shows that the physics does not match the mathematics. There are physicists who argue that the whole universe has a completely mathematical description. In fact we have no such description for even a single photon. Or a single electron. And much of 20th century physics says that there can be no such description. Using mathematics to model physical reality cannot be a limitation because mathematics allows arbitrary structures, operations, and theories to be defined. No matter what new phenomena we discover, it will always be possible to describe our observations mathematically. It doesn’t matter how crazy nature is because mathematics is just a language for expressing our intuitions, and we can always add words to the language. This is an incorrect view of math. Math has been axiomatized as Zermelo–Fraenkel set theory (ZFC). The content of math consists of the logical theorems of ZFC. It is not just some language or some arbitrarily expandible set of intuitions. I wonder whether many physicists understand this point. I doubt it. I thought that everyone understood that math has limits, and the point of my essay was to argue that there might be no ultimate theory of physics within those limits. But if someone does not even accept that math has limits, then the rest of the argument is hopeless. If you agree that math has limits and that they may not include possible physical theories, then it ought to be obvious that nature may not have a faithful mathematical representation. Saying that there is such a representation is an assumption that may be unwarranted. So I guess I should have explained the ZFC issue better to the physicists who will be judging my essay. An example of a limit of math is the unsolvability of quintic polynomials by radicals. That is what keeps us from having something like the quadratic formula for more complicated equations. This fact does not necessarily stop us from solving the equations, but certain kinds of formulas just won't work. My essay "public rating" is not very high, but my "community rating" must be much higher. If you look at the list of essays sorted by community rating, then you will see that mine is near the top. Colin Mclarty says that the big modern cohomological number theory theorems, including Fermat’s Last Theorem, were all proved using Grothendieck’s tools, making use of an axiom stronger than Zermelo–Fraenkel set theory (ZFC). He says that there is a belief that these theorems can be proved in ZFC, but no one has done it. I would really be surprised if cohomological number theory needs something more than ZFC. And it would be even more amazing if theoretical physics found some mathematization of the universe that could be formalized in an extension of ZFC, but not ZFC. The principal use of probability amplitudes is as the physical meaning of the wavefunction, a link first proposed by Max Born and a pillar of the Copenhagen interpretation of quantum mechanics. 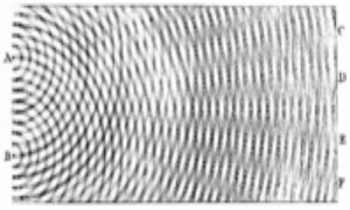 In fact, the properties of the wave function were being used to make physical predictions (such as emissions from atoms being at certain discrete energies) before any physical interpretation was offered. Born was awarded half of the 1954 Nobel Prize in physics for this understanding, though it was vigorously contested at the time by the original physicists working on the theory, such as Schrödinger and Einstein. Probability was just Born's interpretation, and not essential to the Copenhagen interpretation. I have two simple reasons for saying that quantum probability is just an interpretation. If an electron wave function tells you the probability of the electron's location, then you are implicitly assuming that the election is a particle. But the electron is not like a classical particle, and thinking of it as being like a particle is just an interpretation. If the theory only predicts probabilities, then it cannot predict individual events. We cannot observe probabilities directly, so we can only confirm them by redoing experiments many times. Such an interpretation is weaker than one which predicts individual events, such as the positivist interpretation. So I say that quantum mechanics needs no probabilities, not even for the double slit. No, the facts are not different. The textbooks are correct that the rise of relativity was indeed the necessary response to an experimental situation. See my book for details. Nevertheless, Polanyi eventually convinced other philosophers and Einstein historians that Einstein invented special relativity with pure thought, while ignoring experiments like Michelson-Morley. Michelson's experiment suggests the axiom that all phenomena obey the same laws relative to the Earth's reference frame or, more generally, relative to any reference frame in unaccelerated motion. For brevity, let us call this postulate the relativity principle. Einstein did later acknowledge that the experiment had little or no direct influence on his famous 1905 paper. That is plain to see from reading the paper. Einstein gave an exposition of Lorentz's theory, without giving Lorentz's reasoning. As Lorentz later said, Einstein postulated what had previously been proved from experiment an analysis. I draw attention to the history of relativity because it is so frequently used to sell some completely wrong picture of what science is all about. A comment on my FQXi essay argues that Michelson-Morley was not crucial because it is consistent with emission (particle) theories of light. But there was a lot of evidence at the time that light was an electromagnetic wave, and so the emission theories were not popular. It is a historical fact that Michelson-Morley was crucial to relativity.